'Seven Sorrows, Seven Stars' marks the seventh full-length release from Belgian electronic producer Yves Schelpe under the Psy'Aviah moniker. Continuing with the multiple vocalist approach of his previous album, 2014's 'The Xenogamous Endevour', Schelpe continues to blend multiple electronic genres in new ways while maintaining a deeply emotional core. Synthpop, ebm, triphop, electroclash, techno, edm, and eurodance come together with nods to artists like Moby, Faithless, Enigma, and Praga Khanto create an uplifting and introspective journey. The album kicks off with the short Enigma-like introduction 'Seven Sorrows, Seven Stars' that underlines the concept before diving into the opening track 'Alcubierre Drive' featuring Kyoko Baertsoen on vocals partnered with a heady blend of sultry pop, triphop and progressive electronics. Songs such as 'Face to Face (feat. Roeland van der Velde)', 'From Another World (feat. Bernard Feron)', 'Liberosis (feat. Alvin River)', 'Not What I Expected (feat. Fallon Nieves)', and 'Wild Ride (feat. Miss FD)' keep the dance-friendly backbone of the album intact with big beats, beautiful vocal contributions, and memorable leads powering the tracks along. While the likes of 'Lessons From The Past (feat. Mari Kattman)', 'Opia (feat. Pieter Van Vaerenbergh)', 'Peace Paradox' and 'Starstruck (feat. Diana S.)' explore the deeper and more conceptual end of Shelpe's songwriting. The whole album is perfectly balanced between accessible and dance friendly electronic music and more progressive and even cinematic aspirations. Schelpe pulls it off with ease. The whole album is a delight to listen to and the production is wonderful sounding right up-to date and crisp throughout. Even the bonus remix CD throws out some unexpected delights in the form of 'Wild Ride (feat. Miss FD) (Alex Dalliance remix)', 'Opia (feat. Pieter Van Vaerenbergh) (Liquid Divine remix)', 'Not What I Expected (feat. Fallon Nieves) (Cutoff:Sky remix)', 'Alcubierre Drive (feat. Kyoko Baertsoen) (KONER remix)', and 'Wild Ride (feat. Miss FD) (Girlflesh remix)' in particular taking the originals and taking them off into new and intriguing directions. 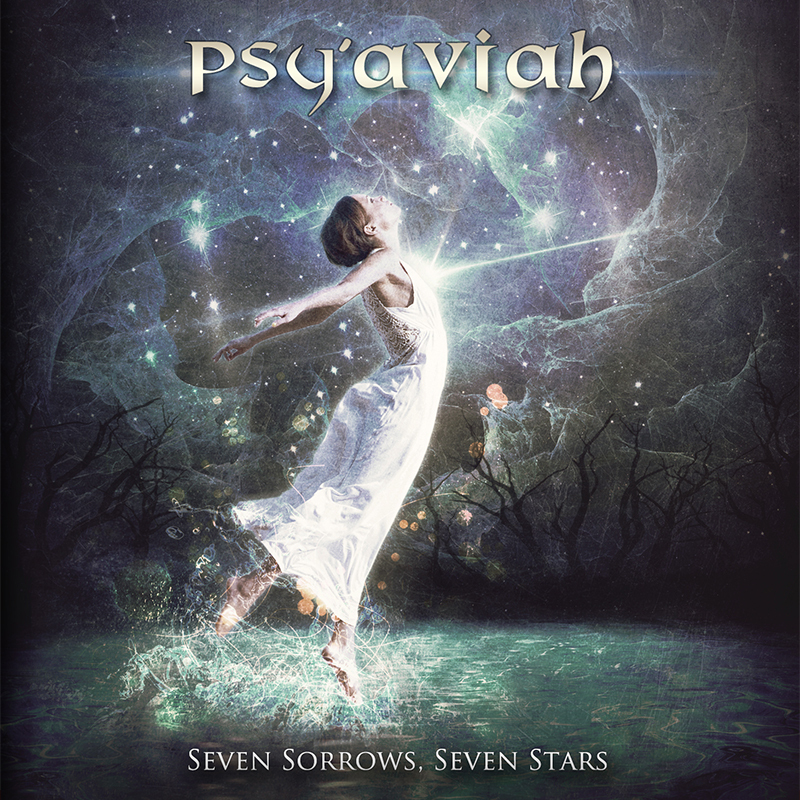 'Seven Sorrows, Seven Stars' is perhaps the most complete and sonically stunning album in the Psy'Aviah back catalogue to date. Once again Schelpe has pushed the boundaries of electronic music and continued to explore and experiment with different approaches and it has once again paid off for him. Simply, this album shows why Psy'Aviah is one of the stand-out names on the Alfa Matrix roster.